Summary This is a replica or prop of the PSI amp from System Shock 2. It's based off the in game model, and fits in one's palm. The hole on its left side is the size of an aux cable, so if you have a broken one you can glue it in there and attach it to your arm somehow like the in game model does. System Shock 2, next to Star Wars Battlefront 2, is my absolute favorite game of all time so naturally I wanted to design a prop for it. Eventually, I'll make an entire cosplay of Soldier G65434-2 and I will have this very amp on me. I already managed to print the device as well. Here is a summary of the device from shodanpedia: "The Black Ops Psionic Amplifier is a weapon featured in System Shock 2. 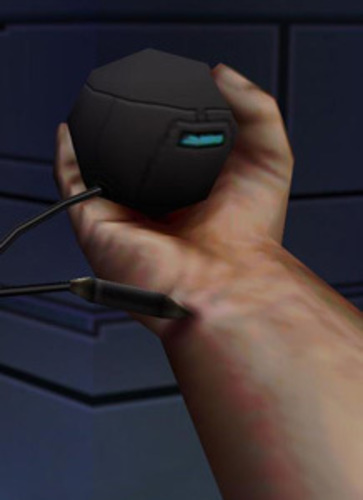 It appears to be a dark, metal ball that has a small tube or wire lodged into the protagonist's lower wrist. Although it does not damage opponents directly, it can use Psi to perform telekinetic-like actions, such as object levitation. The Psi amp is not actually a weapon, but a device that allows the usage of psi-powers. Developed by Esper Industries, a branch of the TriOptimum Corporation military R&D division, this controversial device allows psionically able individuals to amplify and project their powers into the world. Before the development of the Psi Amp, psionic disciplines were mostly detectable only in a lab environment. The Amp contains and inhibits the normal diffusion problems inherent in psi phenomena. The amp also allows the user to effectively channel their innate psionic disciplines to a number of powerful effects. This device caused furor in the psionic community, primarily because of its obvious military applications, but also because of the Amp’s tendency to define Psi powers along a few specific (and generally utilitarian) axes." 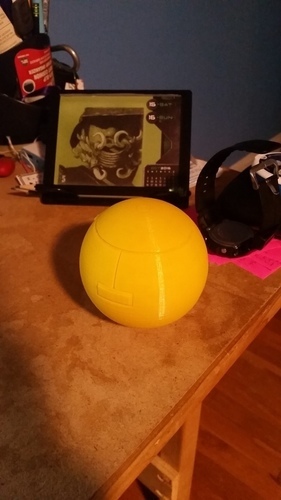 For printing this just scale to your desired size and use rafts. Because it's so rudimentary it shouldn't be too much trouble for any printer, I happened to use a makerbot replicator 2.